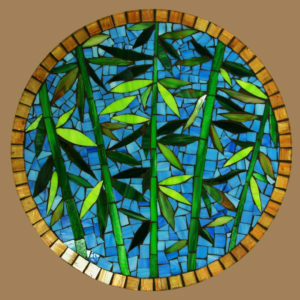 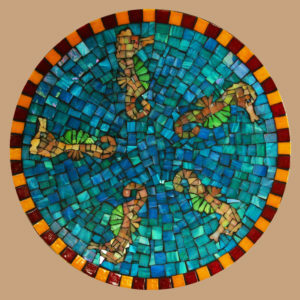 Featured here is a 20″ round mosaic platter. 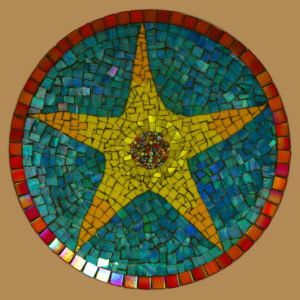 It’s a one of a kind piece and made of hand cut glass tile on wood. 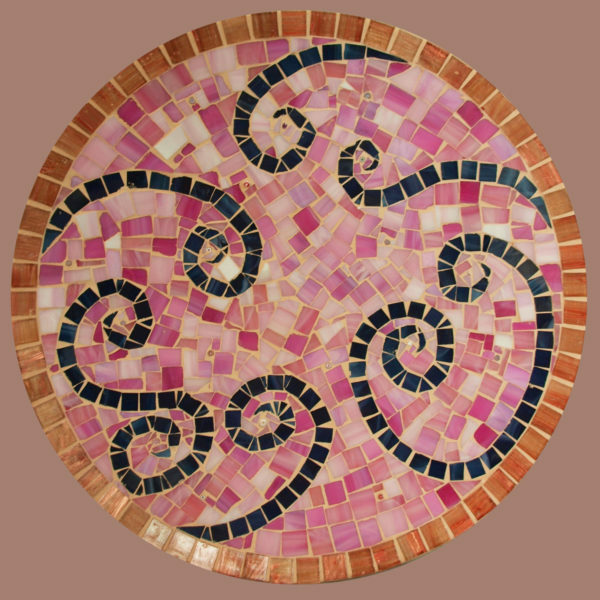 All designs are original and will make a statement in any home or office. 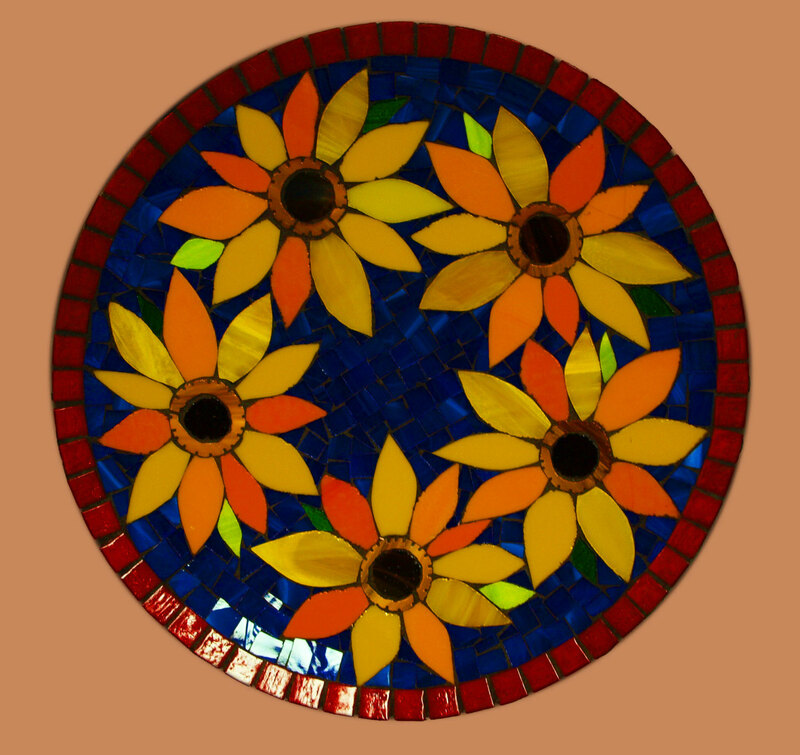 The platters are functional and can be used for serving food or simply be decorative. 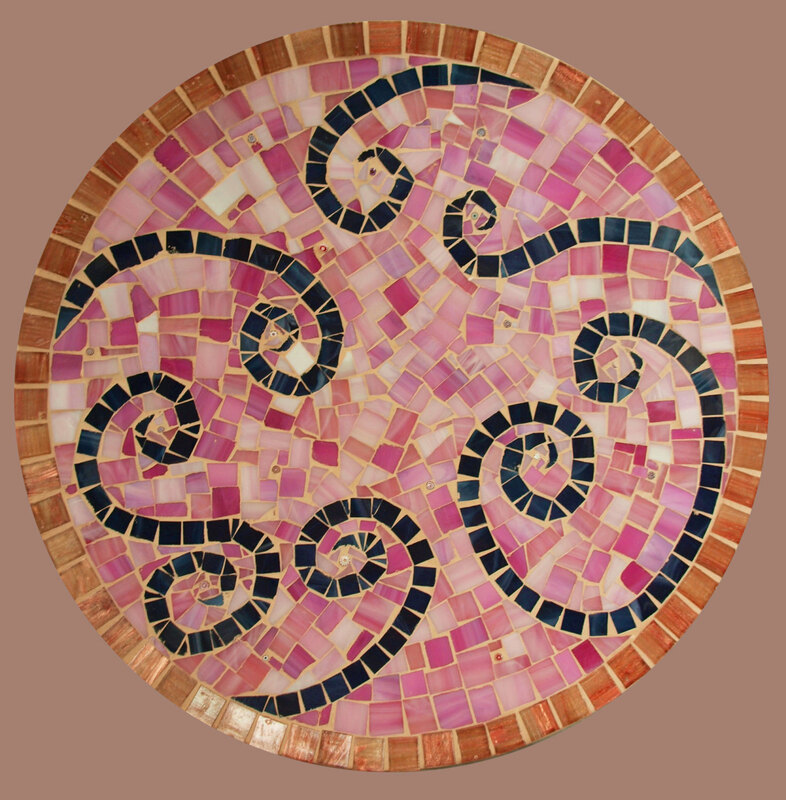 Platter can be easily hung on a wall or used as a table accent.